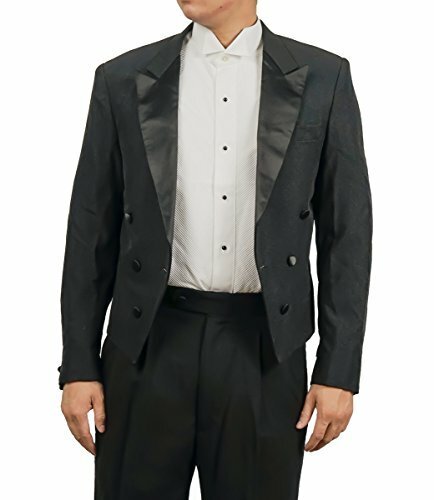 Men's fully lined black tuxedo tail jacket. 100% polyester. Peak lapel. Satin covered buttons and satin lapels. Classic full dress tail tuxedo jacket. Sorry pants and shirt not included. This is not a costume! If you have any questions about this product by Broadway Tuxmakers, contact us by completing and submitting the form below. If you are looking for a specif part number, please include it with your message.